English : Speech by Harry S. Truman announcing the surrender of Japan, officially ending World War II. Cars rest on the collapsed portion of I-35W Mississippi River bridge, after the August 1st, 2007 collapse. English : Cars rest on the collapsed portion of I-35W Mississippi River bridge, after the August 1st, 2007 collapse. English : The evolution of a thirsty Basil ("Ocimum basilicum") after watering. Movie in 50fps made by stop motion during 4h45 ago, with one picture every 15 seconds. English : A video showing the extinguishing of a fire with a fire blanket (15s). Dendroconus figulinus, Conidae, Fig Cone; Length 8 cm; Originating from the Indo-West-Pacific; Shell of own collection, therefore not geocoded. English : Dendroconus figulinus, Conidae, Fig Cone; Length 8 cm; Originating from the Indo-West-Pacific; Shell of own collection, therefore not geocoded. English : Hiroshima Toyo Carp player number 38: Masato Akamatsu batting a ball. English : A transformation of a plane into a torus into sphere. English : Snow removal from roof by a team of workers in Saint Petersburg. Hrvatske Željeznice class 2044 with a local train to Zagreb between Turčin and Sveti Ilija, Croatia. English : Hrvatske Željeznice class 2044 with a local train to Zagreb between Turčin and Sveti Ilija, Croatia. 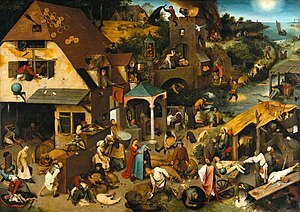 English : A vertical axis waterwheel being used to make cannonballs. English : Searching Ruins on Broadway, Galveston, for Dead Bodies is a 1900 black and white silent film depicting the destruction caused by the Galveston hurricane on September 8, 1900. English : Escalators at VivoCity, Singapore. The Koppelpoort in Amersfoort, the Netherlands. English : The Koppelpoort in Amersfoort, the Netherlands. English : Kite flyers at night, in Kabul in 2006. Karnataka High Court in Bangalore, India. English : Karnataka High Court in Bangalore, India. English : From September 1999, the World Trade Center in New York City including interiors, exteriors and a panoramic view from the top (4m 53s). A Korean traditional female dancer smiles during the 2008 Yongsan Fall Festival Parade, Seoul, Republic of Korea. English : A Korean traditional female dancer smiles during the 2008 Yongsan Fall Festival Parade, Seoul, Republic of Korea. English : Attack of a Common Tern (25s). English : A Sadhu in Varanasi, India. English : Fantasia, a harp solo (2m 22s). Colorado River Toad, Incilius alvarius, Syn. : Bufo alvarius. English : Colorado River Toad, Incilius alvarius, Syn. : Bufo alvarius. English : An orange peels and then re-peels. ATV custom-made from E-ATV Eicker Germany. Basevehicle was a KTM Supermotobike, Typ SM 990 with LC8 engine. 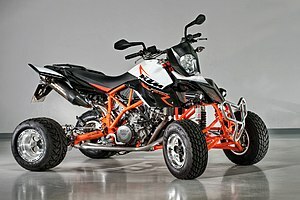 English : ATV custom-made from E-ATV Eicker Germany. Basevehicle was a KTM Supermotobike, Typ SM 990 with LC8 engine. English : On the L side, Harry discusses La sonnambula and the performance found on the R side. Panoramic view over the Felder (name of this area of the local inhabitants) in the Moers district Schwafheim, North Rhine-Westphalia, Germany, immersed in a deep fog during the sunset on a slightly overcast winter day in December. View from Düsseldorfer Straße. Part of this can be seen on the left side. English : Panoramic view over the Felder (name of this area of the local inhabitants) in the Moers district Schwafheim, North Rhine-Westphalia, Germany, immersed in a deep fog during the sunset on a slightly overcast winter day in December. View from Düsseldorfer Straße. Part of this can be seen on the left side. English : The flowers of a primrose open in real time. Fort du Lomont: hallway behind the barracks on the ground floor of the reduit (HDR). English : Fort du Lomont: hallway behind the barracks on the ground floor of the reduit (HDR). 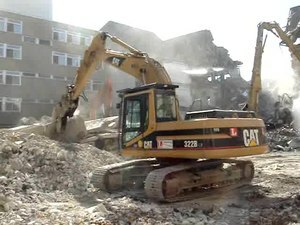 English : A demonstration of "center of gravity" during a 2007 demolition. English : A sand dune experiences a gravitational collapse. English : 19 September 1985, United States Senators ask Frank Zappa to be in their video. Rhesus Macaque (Macaca mulatta) in Agra, northern India. English : Rhesus Macaque (Macaca mulatta) in Agra, northern India. English : This is spinal tap. English : Birds above Rome. Fulguropsis radula, Melongenidae; Length 11,5 cm; Tertiary, Pliocene, La Belle, Florida, USA; Shell of own collection, therefore not geocoded. English : Fulguropsis radula, Melongenidae; Length 11,5 cm; Tertiary, Pliocene, La Belle, Florida, USA; Shell of own collection, therefore not geocoded. English : The opening of a new lacquer and paint factory in 1960. The NM Alphonse-Desjardins ferry crossing the Saint Lawrence River between Lévis and Quebec City. English : The NM Alphonse-Desjardins ferry crossing the Saint Lawrence River between Lévis and Quebec City. The former water tower in the center of Vinnitsa, Ukraine. View in the winter evening. English : The former water tower in the center of Vinnitsa, Ukraine. View in the winter evening. English : Jarry station from Montreal Metro, Quebec, Canada. English : 70 years ago today, Superman or The Mad Scientist, the first of the 1940s Superman animated Technicolor short films, was released (10m 13s). English : A 1903 Burnley Ironworks Company steam engine. Evening Grosbeak (Hesperiphona vespertina), Cap Tourmente National Wildlife Area, Quebec, Canada. English : Evening Grosbeak (Hesperiphona vespertina), Cap Tourmente National Wildlife Area, Quebec, Canada. English : Ross's Reel by Eddie Ross (2m 50s). Stove-pipe sponge (Aplysina archeri), pink variation. English : Stove-pipe sponge (Aplysina archeri), pink variation. English : Anoplotrupes stercorosus, doing better on the ground (1m 23s). A Nishi tribesman wearing the traditional head-dress having a hornbill beak. English : A Nishi tribesman wearing the traditional head-dress having a hornbill beak. English : German children, in 1960, are mostly unhappy about the start of their 6 week holiday at Den Haag (1m 24s).